Kinazi Cassava Plant – a local processing factory has announced plans to target a market in three key U.S. States; California, Colorado and Oregon as it hunts big consumers. The announcement comes after the $10 million plant secured renewed licence from the U.S. Food and Drugs Administration early this month. The plant has been enjoying licence renewed every year to access U.S. market for the past three years. 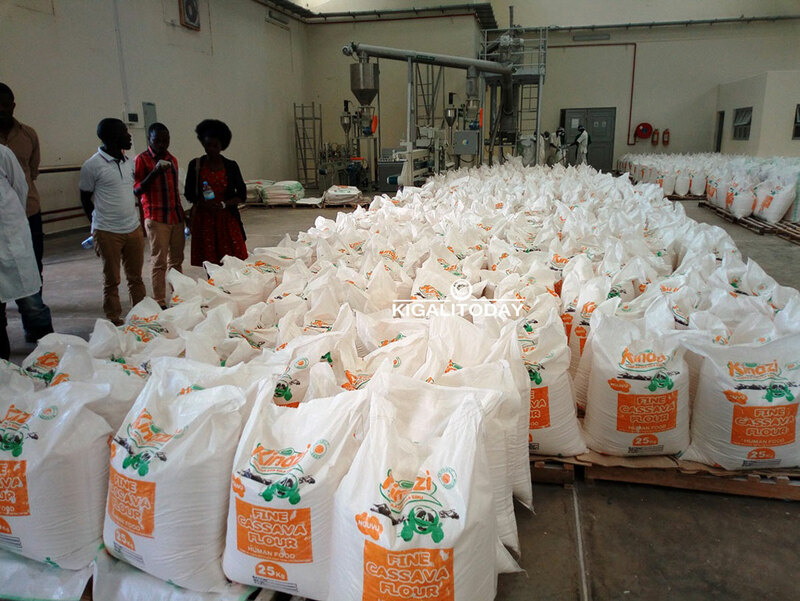 With expected export of 500-1000 tons of cassava flour to US before end of this year, Emile Nsanzabaganwa – Managing Director of Kinazi Cassava factory says the plant has upgraded its production capacity to 30 tons of Cassava flour daily – hence the quest for new markets. “The quality of our Cassava flour has received approval from the U.S. Food and Drugs administration because of its quality,” Nsanzabaganwa told KT Press on Wednesday. Nsanzabaganwa said that he had earlier led a team of staff to above targeted U.S. States to discuss market possibilities, and the outcome has been impressive. “They were very happy by the quality of our Cassava flour. We hope to gain a lot from this licence,” Nsanzabaganwa told KT Press. Meanwhile, Nsanzabaganwa told KT Press that effective February this year, the plant will have slashed prices of its Cassava flour by nearly 50%. “We are the top producing plant in terms of quality. As a result, we want to reduce prices from current Rwf620 to Rwf400 per kilogram for our local market,” he said. Normally, a farmer supplying Cassava to the plant earns Rwf90 per kilogram. But Nsanzabaganwa told KT Press that some of the plans include an increase of Rwf10 per kilogram. The plant started operations in April 2012.